One of the underlying themes of the Loop event in Berlin last November was to examine some of the many ways producers relate to sound in their environment - whether it was Holly Herndon’s internet-inspired digital utopia, Matthew Herbert’s discussion around his musical manifesto or AGF’s workshop on field recording. In its broadest sense, ‘field recording’ refers to the process of capturing sound outside the controlled confines of a studio. Within that definition however, a world of differing processes, theoretical approaches and outcomes are found. From Pierre Schaeffer and the Musique Concrète movement of the 1940s, through to the representation of ‘exotic’ ethnomusicological recordings, environmental documentaries, and the presentation of natural soundscapes as music – the term covers a lot of ground and has generated its fair share of debate. What ties these elements together is a sense that there are different ways to listen to our world, and that listening involves numerous aesthetic, political and social considerations. 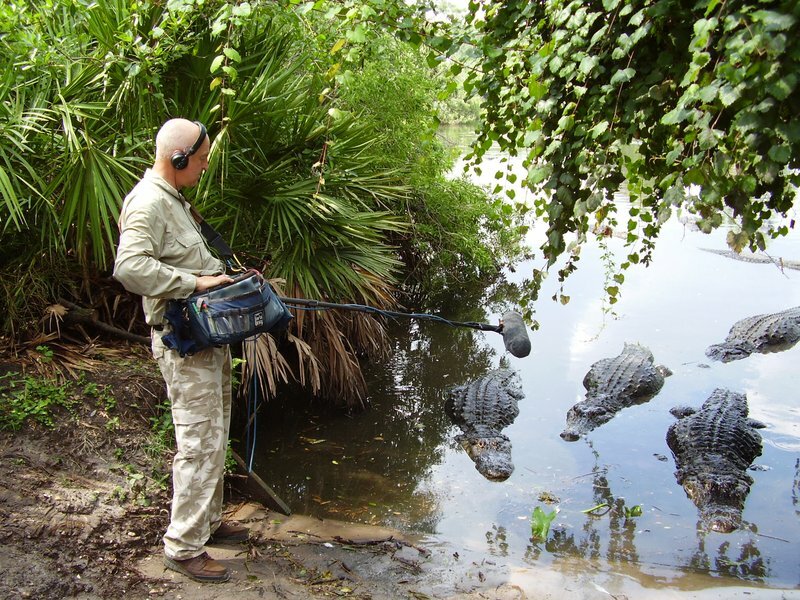 Field recording today is growing in popularity, both from audiences seeking more diverse listening experiences and by artists looking for environmental sources as compositional tools. Affordable music technology has made the recording process more accessible and the results infinitely manipulatable – it’s easy to see why the approach can be found across a wide spectrum of electronic and pop music. As a process and a practice, field recording crosses over into natural history, eco-activism, and zoomusicology – the study of non-human music and the subject of a fascinating recent book and CD. In this article we touch upon some of these elements and chat to Chris Watson and Yannick Dauby, two of the leading artists in the field. AGF (Antye Greie-Ripatti), the acclaimed producer and multi-disciplinary artist touched on many of these themes in her Loop workshop. Drawing on her own experience as an musician, and her growing lack of interest in pre-recorded samples, she revealed how capturing sounds from her environment became an essential part of her creative process. Integrating her love for natural environments with her passion for technology, AGF and her partner (fellow electronic pioneer Vladislav Delay) moved to the island of Hailuoto in Finland, where she could develop a more direct relationship with sounds found in nature. Her work now often involves carrying synths and samplers into remote locations and recording and composing with her environment as a key collaborative force. At Loop, the participants of the workshop were asked to walk around Berlin capturing sounds and bring them back to the studio to use as compositional building blocks. AGF’s approach to her own work and her workshop falls into the discipline of field recording that involves manipulation of the recorded sound, or the addition of instruments and processes from outside of the original recording environment. Some practitioners within the field have previously approached the discipline in a more documentarian fashion – attempting to capture and represent a ‘true’ experience, or as Australians sound artist Lawrence English puts it, “a mechanism through which objectivity could be transmitted”. This has been one of the central, and most debated dichotomies within the field. Today, it’s clear that some of the key releases and artists active in the scene have connections with both sides of this divide – environmental recordings as both a documentary process and an artistic endeavor – and that the lines are increasingly blurred between the two. 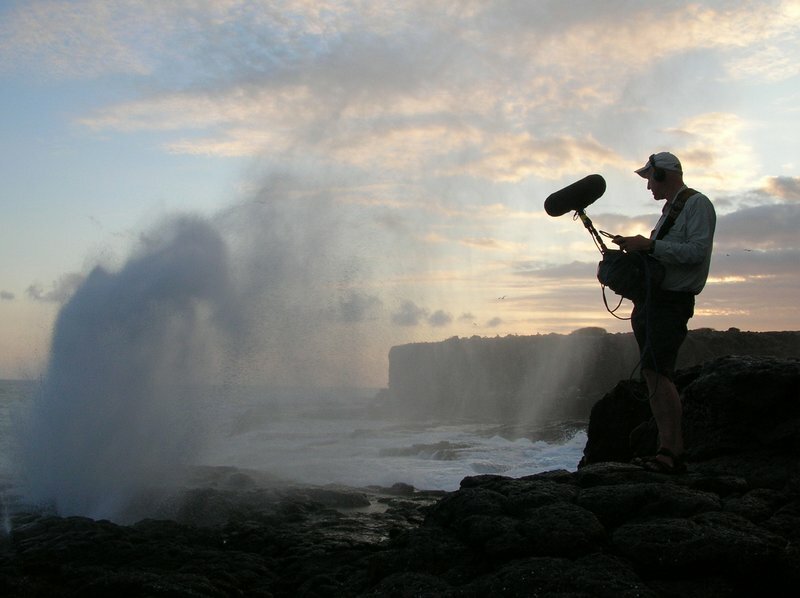 Recordists such as Bernie Krause, Hildegard Westerkamp, and Chris Watson all have links with the avant garde, but their body of work also aligns them with environmental soundscapes and ecological documentary. As highlighted by AGF, Chris Watson, formerly a founding member electronic experimentalists Cabaret Voltaire and Hafler Trio, has perhaps become one the leading exponents of field recording as artistic expression. Chris Watson’s work has encompassed natural history documentaries for film and TV, and his development as an artist has moved from his early documentary work to more edited, processed and filmic narratives – sounds recorded from habitats and locations where it’s impossible to place one's ear, such as inside melting glaciers, deep under sand or the ocean. “[My approach] did expand and change direction a bit. I didn't regard the first pieces as pure documentation; I thought they stood as pieces themselves, and really there was nothing I could do to improve on that; I saw them as really quite sort of perfect "compositions", which came about through a process of documenting sounds. Then as I changed my recording techniques I began to hear individual aspects that I hadn't really heard or appreciated before, that really defied any sort of human-compositional techniques, so I became interested in just engaging with those and that's why the compositional technique for records like Outside the Circle of Fire was simply the microphone technique itself - that became sort of the main instrument, which was a change from Stepping into the Dark which was more atmospheric, more ambient, more recordings of space. 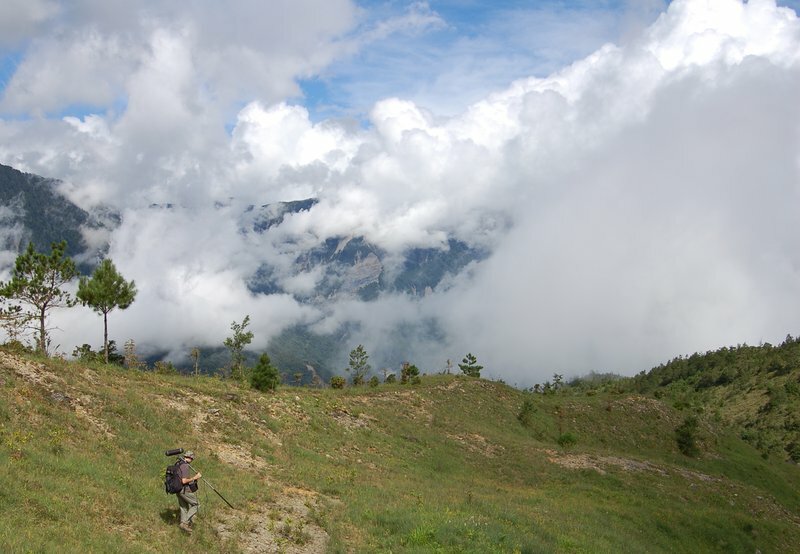 This view is shared by Yannick Dauby the Taiwan-based French artist whose output merges field recording with synthesizer improvisations. “No matter if I'm outdoors doing some recording or in the studio editing sounds, I'm finally listening to transducers – loudspeakers or headphones turning electricity into air waves. Any sounds I'm working with has been mediated by audio technology. Therefore, I don't think I'm dealing with any "pure" sounds, they're all inhabiting a medium. Then, according to different projects I am navigating between two extreme considerations for sound : documentation or abstraction. 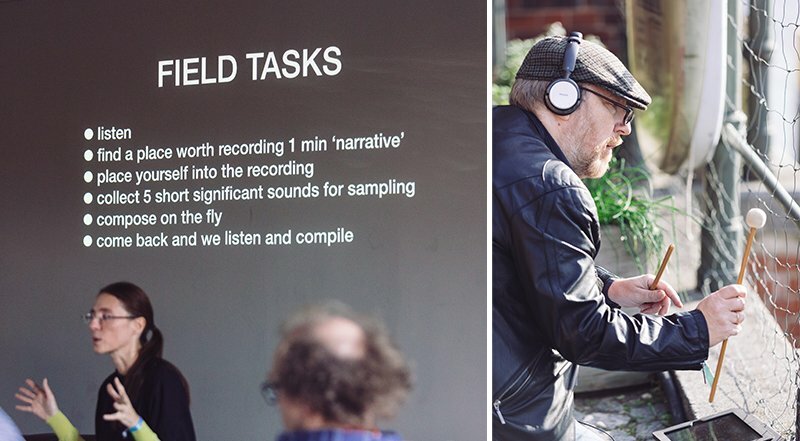 What Makes A Field Recording ‘Work’? "The great thing about sound is that sense of recall... we have such a powerful memory for sound. I use that a lot in my work." 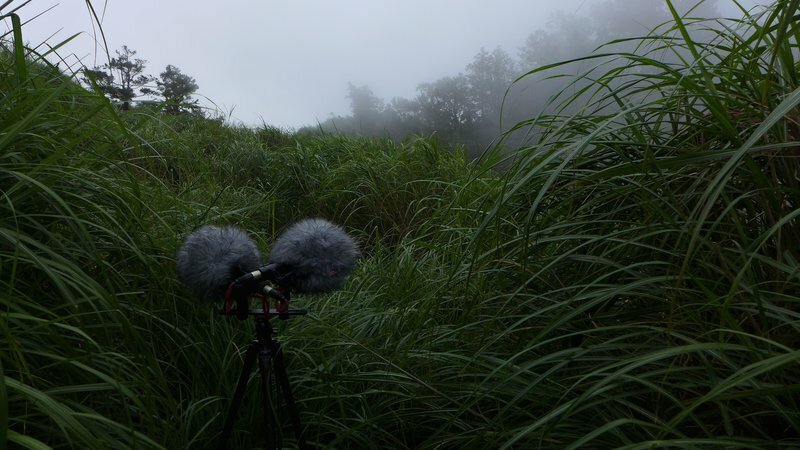 “I always try to keep myself extremely humble about field recordings: I just found myself in some situations and I am trying to extract some audio traces from it. I consider my role as an active listener and as someone who will deal later with the fixed memory of this listening. Watson recalls having recorded thousands of hours of unusable material, that somehow fails to transcend or translate to a wider audience and is never released. However, one of his most well regarded works, El Tren Fantasma, recorded on a 5 week train journey across Mexico, has clearly connected with many people. The recently released Animal Music book and CD (Edited by Tobias Fischer & Lara Cory) examines the relationship between the animal kingdom and human perception of musicality. A series of recordings from around the world, undertaken by Francisco Lopez, Yannick Dauby, Jez Riley French and others asks us to consider the notion of animal spirituality and aesthetics. Are bird sounds merely codes for expressing sexual status, predator warnings, food availability and so on? Or are there elements that transcend biological necessity and express something more? Ornithologists have observed that accents, rhythms and grouping of sounds change from location to location amongst same species, perhaps suggesting that cultural factors exist and influence bird song - something also observed with sea creatures such as dolphins and whales. If this is indeed the case, what does this mean in terms our relationship with the animal world, and does the possibility to communicate with animals exist as a result? Chris Watson believes it's an interesting but ultimately fruitless avenue.